3 Ways For You To Get the New Stampin’ Blends! Hey friend! Did you miss out on my special newsletter yesterday? Aww…no worries! You’re not alone – which is why I’m sharing the information now! Order the Just Add Colour Designer Series Paper (#144180) AND ANY 3 Combo Packs of Stampin’ Blends – AND GET A FREE COLOR LIFTER! 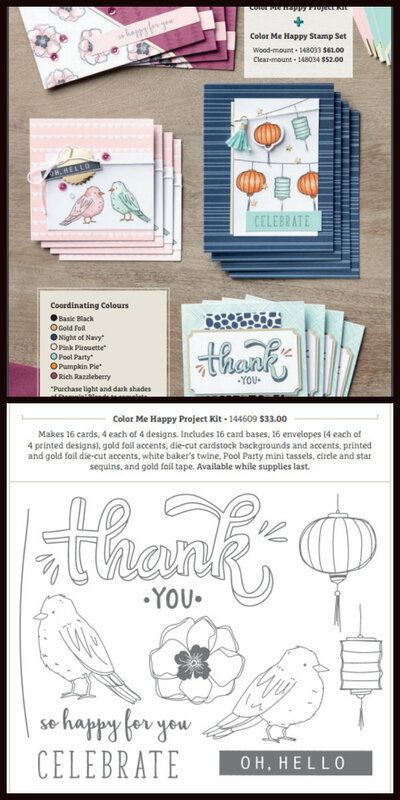 Order the Color Me Happy Bundle (in either woodmount #148033 or clearmount #148034) PLUS the 5 coordinating Stampin’ Blends Combo Packs (Night of Navy #144040; Pink Pirouette #144604; Pool Party #144605; Pumpkin Pie #144599 and Rich Razzleberry #144602) and choose EITHER SAVE 10% OFF YOUR TOTAL ORDER, OR GET A FREE COLOR LIFTER AND TUXEDO BLACK MEMENTO INK PAD! OPTION 3 – GET ALL THE BLENDS! 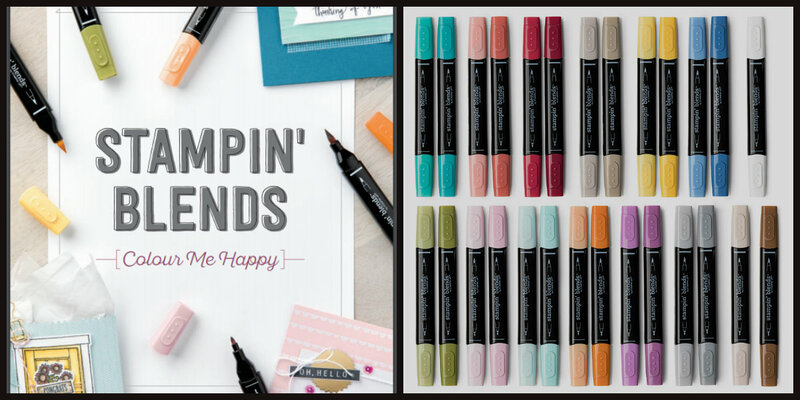 Join my Stampin’ Blends Club, and get ALL of the Blends Markers! If you Join my Blends Club before November 17th, pre-pay for January, and order the Colour Me Happy Project Kit, I’ll pay for your shipping! *Color Me Happy Kit is ‘while supplies last* from Stampin’ Up!, so it must be ordered by Nov. 17th to qualify for my free shipping offer. If supplies of the kit run out before this date, no replacement value or kit is being offered, and this offer will be withdrawn by me. This option allows you to learn about and enjoy your Stampin’ Blends, while spreading out the payments and acquiring them over the 4 month period. You’ll also get to create 2 free cards per month, and get the free Ivory & Bronze Markers, plus the Color Lifter, by the end of the 4th month! If you order through my online store, HOST CODE FXDASWQU MUST BE USED. Once your order has been confirmed shipped by Stampin’ Up!, I will refund you the shipping (if that was your choice/my offer) by e-transfer. For Free items with order, once your order has been confirmed shipped by Stampin’ Up!, I will ship your free items directly to you, to the same address your order is being shipped. If you have me place your order for you, I will deduct the shipping amount from your order (if you chose that option), and your credit card will be charged the balance. I will deliver your free items (if that was your chosen option) with the rest of your order. If you live far away from me and aren’t able to attend the Club gatherings, you can still join my Club, and/or take either of the other Get a Little or Get A Lot options! As a Canadian Stampin’ Up! demonstrator, I can only sell and ship products within Canada. Unfortunately, I cannot offer these options outside of Canada, per the Stampin’ Up! demonstrator agreement. 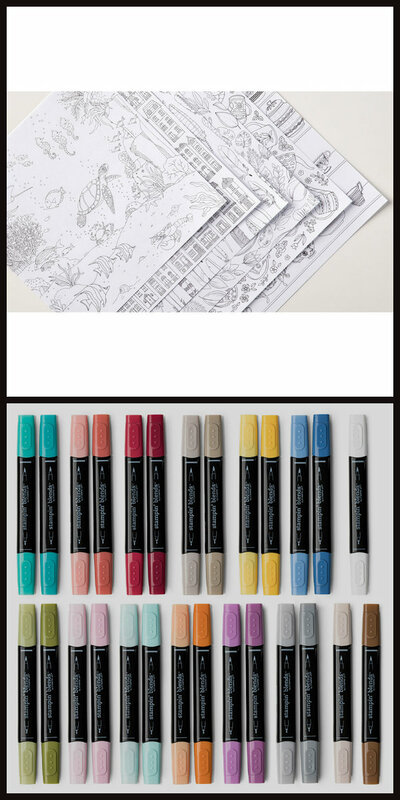 Any of these options is a terrific way for you to get the new Stampin’ Blends markers – either for yourself, or as a gift! With Christmas coming up soon, the Get a Little or the Get a Lot options would be perfect to order and receive in time for holiday giving. To order online, click on either of the Shop Now buttons. If you have any questions, or to have my place your order for you, just click on the email icon on the top of the left sidebar. I’ll get back to you right away!